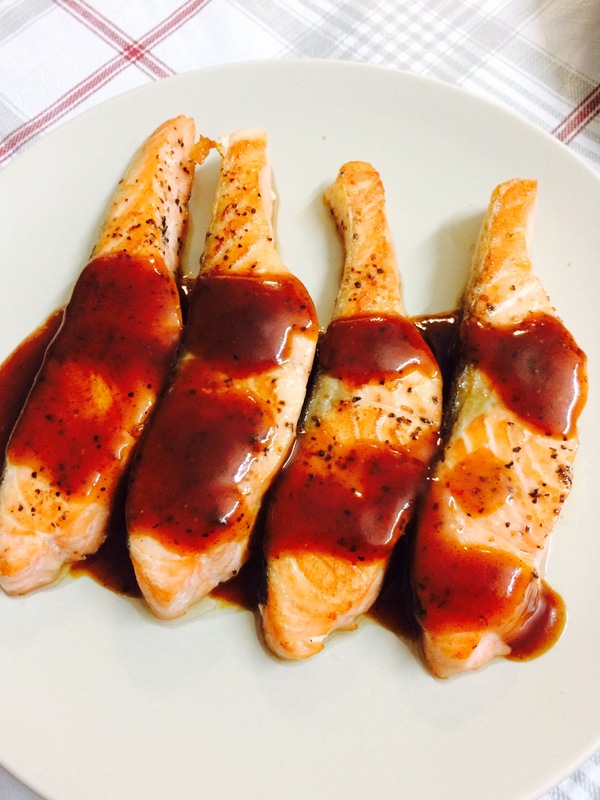 Marinate salmon with a little salt and black pepper. Heat a little oil in the pan. Fry salmon till each side turns golden brown, which takes 2-3 mins. Then dish them out. Add 1 tsp tomato sauce, 1 tsp black pepper sauce and 1 tsp sugar in the pan with 2 tsp water. Stir till condensed and pour over salmon. Looks and sounds so good. I’m not familiar with black pepper sauce, is it good in most grocery stores? I live in California. Hmm, I now live in Singapore. I’m actually not familiar with black sauce either. I only have tried Lee Kum Kee black pepper sauce, which is a popular brand here. I believe I’ve seen that brand here, I will look out for that sauce. Thanks.